If you take relationship advice from Taco Bell hot sauce packets…Congratulations, you have reached rock bottom. Several nights a month I have dinner for one and I was craving a taco pizza from Pizza Villa in DeKalb, Illinois, well can I say they don’t deliver to NC so the next best thing without consulting the online versions that get a bit elaborate and involved, I call my daughter who was known to bring taco pizza home late at night and I simply wanted that bit of untraditional pie for me. I’m not sure what goes into the makings of their pie and it was around 3:00 p.m. 🙂 and I was ready to roll since I have a stash of easy pie dough frozen and ready to thaw etc. I pulled the dough out of the freezer, enough for one and within 2-2hr 15 minutes, I was ready to go. She mentioned taco sauce and taco meat and left with my pantry ingredients and frozen ground beef I started out on my taco pizza journey, first making the sauce that consisted of tomato puree as I was out of tomato sauce, a can of Herdez salsa and all of the necessary spices to create a quick taco sauce for the pizza. Next, I seasoned the browned ground beef with my homemade taco seasoning, grated some cheese, sliced tomatoes, lettuce and those canned black olives…ewww, but the canned flavor cooks off in the oven. 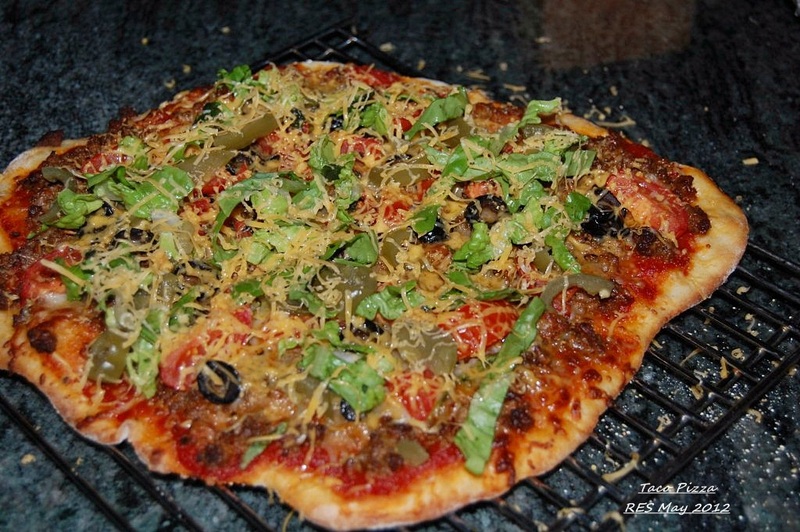 A few additional personal touches (plenty of drained, sliced jalapenos) and I had a lovely taco pizza and thanks to Pizza Villa, great memories. The second pie is really a tart using a pre-packaged pie crust or puff pastry, rolled out to fit the tart pan with a removable bottom, and blind-baked. 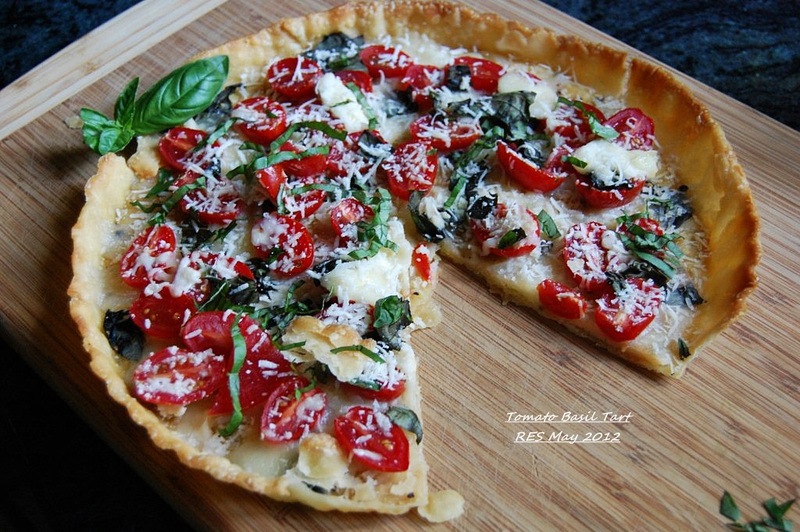 When cool and ready to use, brush the crust with EVOO, add a little shredded fresh basil leaf, thin mozzarella slices, and a blend of Italian cheeses. Next, a layer of tomatoes dusted with additional grated parm and a drizzle of EVOO, bake for about 20-25 minutes. *1 pint halved grape tomatoes or you can use larger heirlooms, sliced and allowed to drain and patted dry. Plum tomatoes are also very good, but I’ll report back on that when I have somewhat of a little crop to show off. I rough grated other compatible Italian cheeses, Most no longer had a label, but they worked well with the mozzarella. Maybe a montsio, fontina, romano were among the suspects. No problem, good cheesy flavor.